I was very proud of my natural hair care routine last year especially considering all of the setbacks and shenanigans. First, dealing with a hair snatching earlier last year, adopting new hair styles every month with extensions and even changing my shampoo schedule were all a part of the changes I made. However, recently, I was doing research for some articles and found out that one of my mainstays—my anchors, my core natural hair care regimen item, my detangling conditioner VO5 Moisture Milks—contains a preservative, a formaldehyde releaser called DMDM Hydantoin. According to the Environmental Working Group's Skin Deep Cosmetics Database, this ingredient is a skin irritant and carries a low risk of cancer. Whaaattttt???!!!! I almost fell out of my chair. I was shocked...but then I thought,... isn't this the way things go? The more you know...the more painful life gets....Ignorance is bliss. Okay, I know I need to stop the melodrama, but it's hard to find a cost effective product which actually works. A couple of years ago, an irritant in a leave in conditioner gave me a fire rash on my neck. So I know that a natural hair care product’s ingredients have to be researched and vetted. The response was quick, concise and appreciated, but this didn’t make me want to go to my doctor. It made me want to do more research. So I did. With this being a research based natural hair care web site, I appear crazy not researching my products before purchasing them. However, VO5 came along very early in my journey into natural hair care, even before I started this web site. And, since it worked really well, I never questioned it (This is no excuse of course...). Popular among other naturals, people swore by it. However, I can't have anything near my skin that has anything to do with formaldehyde. Not good. However, I completely understand that there is a small amount of it in practically every cosmetic and beauty aid we use. Formaldehyde is a “colorless, strong-smelling gas” found in household building materials such as plywood, fiberboard, glues and professional keratin hair straightening products. It is “quickly broken down in air within hours and dissolves in water. It is used as a powerful disinfectant in medical facilities and funeral homes and is also used as a preservative. Substances that release formaldehyde are found in products such as shampoos, some nail polish, conditioners, lotions and cosmetics (American Cancer Society). How much formaldehyde is too much? That phrase “less clear” is what troubles me. Why is there no research about the long term effects of small amounts of these formaldehyde releasers on humans, especially since this type of ingredient is found in so many products? As long as there is no decisive data, people can say that the stuff is harmless because there is no proof that it isn’t. Research would solve that. 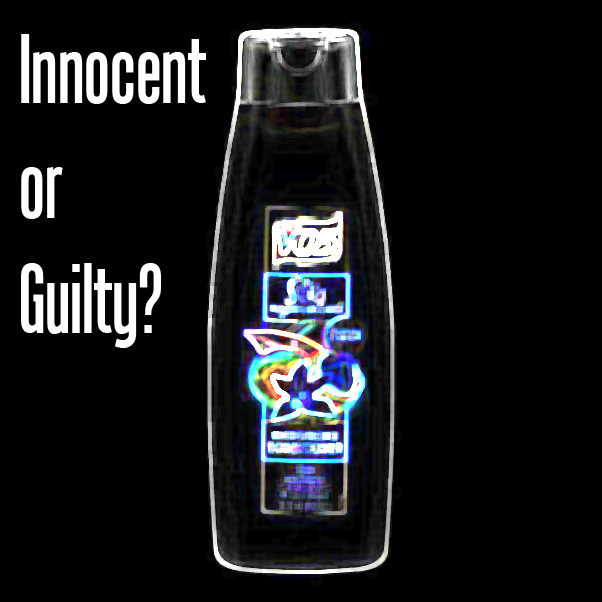 Yet in 2010, the FDA released a warning letter about the levels of formaldehyde present in Brazilian Blowout products. They cited labeling violations regarding these products since they lacked sufficient information about the presence of formaldehyde and its effects. After salon treatments, consumers were complaining of chest pain, vomiting, rashes, and respiratory tract problems. What is so weird about doing natural hair care research is that truly I am often afraid at what I may find. This is not looking good…. Stay tuned for Part II of this article…. FDA, OSHA Act on Brazilian Blowout (2010, October 8). In U.S. Food and Drug Administration.